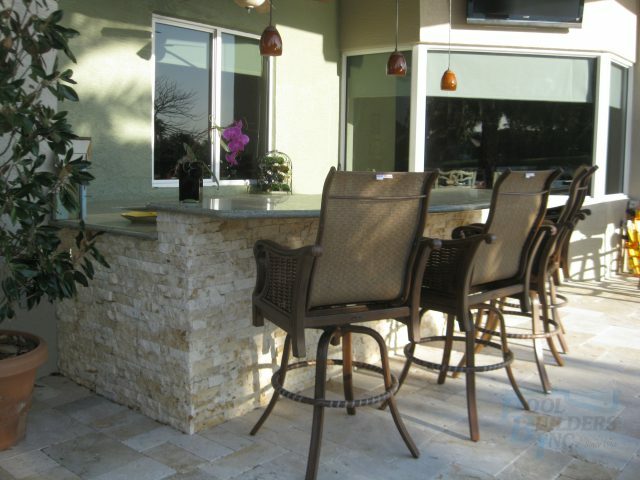 For a truly al fresco wining and dining experience, an outdoor kitchen will take the usability and enjoyment of your backyard to the next level. Whether you’re cooking a romantic meal for two, or hosting a large family BBQ – outdoor kitchens are the ideal space to entertain guests and benefit from the blissful summer evenings. 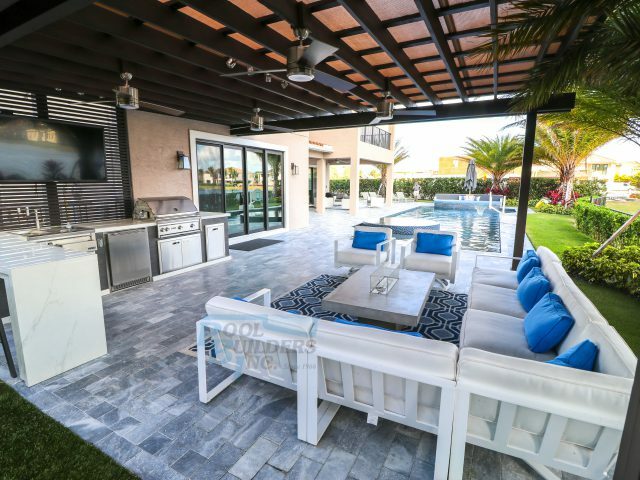 Here at Pool Builders Inc., we help you create the lifestyle you always dreamed of by using expert design and unique construction practices. Developing tranquil outdoor living spaces that are personal to each and every client is second nature to our designers and builders – this is thanks to our 50 plus years of industry experience, and our deep commitment to customer satisfaction. Entertain with total flexibility – our outdoor kitchens are designed to reflect your aesthetic desires and functional needs, making it easy to transform your backyard into a hub of sociability and relaxation. Whether you’re seeking a standalone kitchen area, or want your culinary paradise to be integrated into your final pool design – we can accommodate your plans. To discover more about our outdoor kitchens, simply get in touch with our friendly team today – we offer free, no obligation estimates so you can assess your choices. We serve the wide area of South Florida & Fort Lauderdale.